Anyone able to come to the Monroeville PA STEEL CITY CON this weekend? LOVE to see you! I'll have a table there, signing books and there will be a host of celebrities including John Wesley Shipp (The Flash), Barbara Eden (I Dream of Jeannie) and Alice Cooper (who was a good friend of David Cassidy!) Friday, Saturday and Sunday! Book Signing, Monroeville PA, March 2--and VIP Kickstarter Backers coming too! I'll be doing a book signing this Saturday at Barnes & Noble, Monroeville PA from noon till 9PM. Even better, two of our biggest Kickstarter backers will be joining me! Meet Debbie Daum and Mary Hertweck, and join us for some Partridge Family fun this Saturday! Hope to see you! A Day of Partridge in Massillon, OH! Ryan Cassidy At The Hollywood Show Today! Another Book Signing--Barnes & Noble Loves WHEN WE'RE SINGIN'! Monroeville, PA! Announcing a new signing date for WHEN WE'RE SINGIN'! Barnes & Noble in Monroeville, PA with host an author's signing on Saturday, March 3. Noon to 9PM! If any of you can come, would love to see you. C'mon Get Happy! Christmas Broadcast, WBWC, Partridge Family & David Cassidy Tribute! Here's the audio file for the Christmas Tribute to The Partridge Family and David Cassidy on WBWC, 88.3, The Sting with Dennis King on December 18th, 2017! Listen for "My Christmas Card to You," "Frosty the Snowman," and a few others. Book Signing at Barnes & Noble, Homestead PA, Dec. 22, 2017! Another Book Signing is planned with Barnes & Noble in Pittsburgh PA at The Waterfront location, 100 West Bridge Street, Homestead, PA 15120 this Friday, December 22 from 11AM-9PM! Stop by while you're Christmas shopping! I'd love to see you! Christmas with David Cassidy & The Partridge Family! Tonight, 12-18-17, WBWC 88.3 10PM EST! Book Signing at MUSIC TO MY EAR, Pittsburgh, PA, Sunday 12-17-17! Book Signing this Sunday, December 10th, Mentor OH Barnes & Noble! Come out and sing some Partridge Family songs with us at Barnes & Noble in Mentor OH this Sunday! So much fun was had at the last book signing, they invited me back for more of the same! 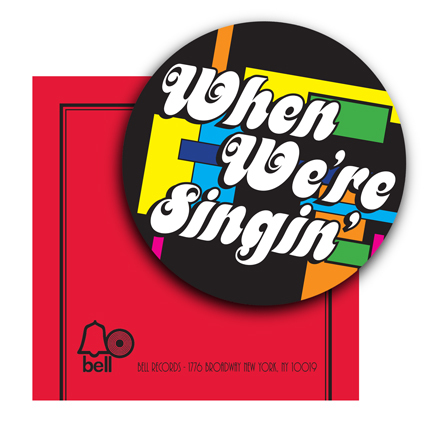 Get your signed copy of When We're Singin' from 12-6PM! Be there, or be Brady! Now Available on eBay per your request! Due to the heavy requests we have been receiving to make the book available for purchase through PayPal, we have created a listing through eBay specifically designed to meet those needs. Earlier today, I spoke with KLBB in a segment that played both I THINK I LOVE YOU and SUMMER DAYS. I will post both links as soon as I can. He Made Us Happy. Goodbye, Dear Friend. Tonight the world lost a man who served as one of the greatest influences on the youth of an entire generation. 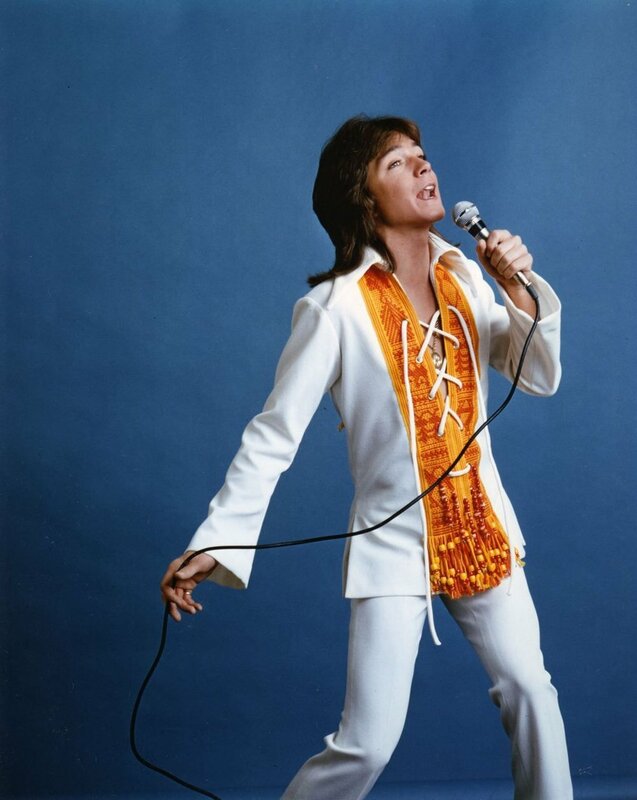 It has been a night of devasation for all of us who loved David Cassidy. We lost an entertainer of magnificent proportions, but saddest of all, we lost a good man. A simple man at heart. I’m still struggling hard with this. I can only imagine how his family feels. David had that amazing ability to comfort us through his music in such a personal way. He brought us ...calmness when we needed calming and endless energy when we needed excitement. He entered my life (most all of our lives) at a very young age when we were our most impressionable, and I thank God for such an influence. His music got me through. Still does. His voice always emanates comfort regardless of the style of the song. He brought us that special something you can’t describe that only the greats are capable of. And for many, including myself, he was also an inspiration through those years of searching for who we want to be, what we might become and someday hope to be. 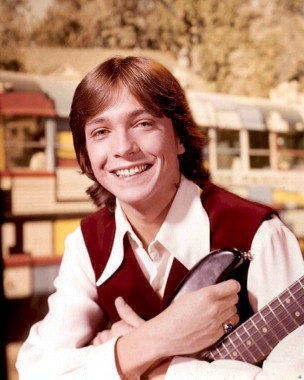 I chose a branch of the entertainment industry because of David Cassidy. There is no celebrity on this planet who has brought me more happiness. As a kid I use to escape to the room above our garage when I wanted to get away from the world and I would play my Partridge Family and David Cassidy records over and over. I’d just sit there and hold those album covers and mentally check out for however long I needed to. Turned out to be a lifetime! I am so very, very grateful for that man. I hope and I pray that somehow, someway he knew beyond any shadow of any doubt how much comfort and pleasure he gave to so many millions of people--not just then, but all the way up to the present. His fan base is strong and devout. I have never been influenced or star-struck over any celebrity the way I was by David. He was my John Lennon. He was my Jimmy Hendrix. He was my introduction to pop music, to rock music and to the blues. He was my safe place. Damn, I’m choking up again. I have memory after memory tied to David Cassidy, and I can’t begin to share all the stories in one fell swoop. But thank God for those memories. Thank God for David Cassidy and all the happiness he brought us. Thank God for the friends so many of us have together, as a fan base. Thank God for his supportive and wonderful family. Now it is time to pray for them. The greatest of sympathies and compassions for all David’s loved ones who now need their own time to heal. And David...man.... we will miss you.